The following Op-Ed was written by Working Lands Alliance, Chair, Terry Jones, and was published in the Connecticut Post on Sunday, November 4, 2018. We, the citizens of Connecticut, have a special opportunity to come together with a “yes” vote on Question #2 on next Tuesday’s ballot. For the first time in history, we have a state referendum pertaining to our natural environment. A consensus vote would be a powerful antidote to the vitriol that pervades most political discourse these days. Let’s be honest – when in the voting booth, we tend to be intimidated by referendum questions that ask, “Shall the Constitution of the State be amended to…”, and go on at length with legal language. Honestly, many of us tend to skip over it in our haste. Please do not skip Question #2! Generations of Connecticut citizens have given their time and treasure to protect park lands, forests, lakes, and beaches for future enjoyment by all. Public land is one of the best investments we have made in Connecticut. Our state parks and forests attract over 8 million visitors, generate over $1 billion in revenue for the state, and support over 9,000 private sector jobs every year. For many, our state forests and parks are their only source to enjoy the outdoors and open space. Public lands are there for everyone. That’s why most Connecticut state parks and forests are free, providing local places for relaxation, inspiration, and for kids to explore and learn about nature. From time to time over the years, the General Assembly – in the closing hours of its session – will quietly sell or swap some portion of this public land in a “conveyance bill” that does not provide for public input. These are the people’s lands, and thus, people should have an opportunity to voice their opinions. Certainly, there are instances when a sale or swap may be justified. However, these transactions should be transparent including the opportunity for citizen input. 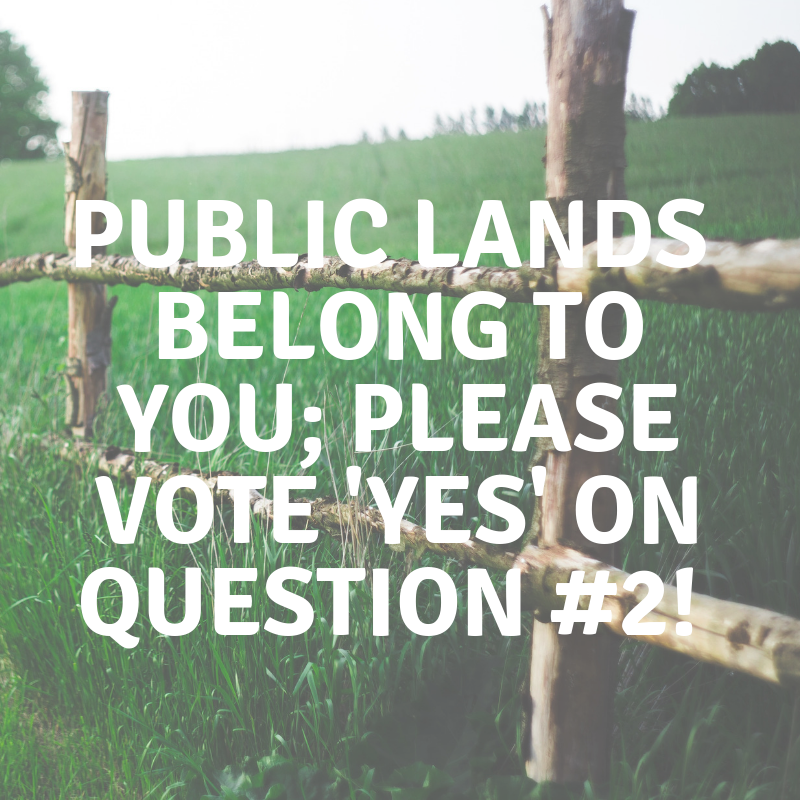 Voting ‘yes’ would amend the Constitution of the State to require a public hearing and a 2/3 vote from the General Assembly before your state parks and forests could be sold, swapped, or given away to private companies or local governments. Other less important public lands would only require a simple majority vote. As you pass by your favorite public park or forest land, think how its natural beauty brightens your spirits. I did just that recently while visiting one of my favorites – Osbornedale State Park in Derby. The oaks, beech, and occasional sugar maples were cloaked in their fall colors – unusually vivid for early November. My heart was filled with gratitude for Mrs. Frances Osborne Kellogg who gave her land for our Connecticut citizens to enjoy in perpetuity. Last Monday, I was surprised by a fleeting double rainbow that hung from clouds above the protected forests of our Means Brook Valley that runs through Monroe and Shelton. The message in the sunburst of color was clear: lands preserved with your (public) money should not be sold off without an opportunity for you to speak your mind first.